With close to 2 million wildebeest on the move, along with thousands of zebras, the annual migration is a spectacular wildlife movement that takes place throughout the year. 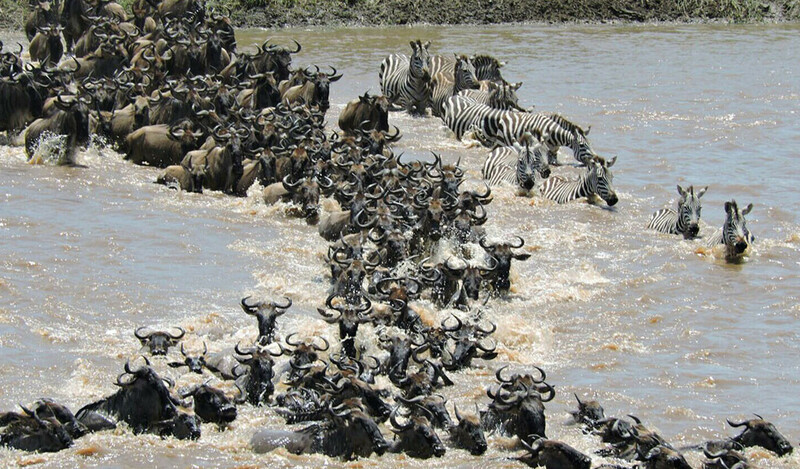 Most visitors are familiar with the “Great Migration”, which takes place in both Tanzania and Kenya, at the Mara River, where the herds cross every year, to follow the rain and to seek for food. However, for the rest of the year, as the migrating herd move from the Mara River back to Central Serengeti and down to the Southern plains, each season marks an unique pattern, a different landscape, and all kinds of thrilling action. During the calving season, the flat plains makes the migration viewing all the more spectacular, as over a million wildebeests and zebras are estimated to gather in the Southern plains each year. The calving season typically takes place between late January and early March, though it can sometimes be early or late, depending on the rain pattern. This is a spectacular season to visit Tanzania as you will have the opportunity to be amidst larger herds of zebras and wildebeests—as far as the eye can see. The herds gather between Southern Serengeti and the Ndutu plains (Ngorongoron Conservation area) to give birth simultaneously. Due to the mix of volcanic soils of the Southern plains, when the rainfall occurs, a growth of highly nutritional rich grass that is beneficial for lactating mothers will prompt the herds of wildebeests and zebras feed here. As a result, this attracts large groups of predatory animals such as lions, cheetahs, leopards and hyenas, to prey on the young and the weak. With luck and exceptional guiding, you will have a chance to see thrilling chase and stumbling upon young cubs and the newborn! Since the Ndutu plains allows off-road game drive in the Northern Circuit, this is a truly unique experience for photographers and wildlife enthusiasts alike. All of our driver guides are highly aware of the teeming wildlife in the plains, and they conduct game drives in a careful and professional manner, as not to disturb the wildlife. Though off-road game drive is permitted, at Safari Infinity, we aim to respect the animals’ territory and strive to preserve its natural environment. Safe distances between our guests and the wildlife will be carefully and respectfully maintained, and to ensure that our vehicles will not become an obstacle to any wildlife activities in the area. As this will be in the midst of the rain season in Tanzania, the roads will be less dusty compared to the dry season. The temperature will be moderate (between 20-25°C / 68-77°F, and a bit colder in the early morning and evenings, between 10-15°C / 50-59°F). April and May are known to be long rain season in Tanzania, and while many may try to avoid safari during this period, it is in fact a spectacular season to come for a visit. The rainfall rejuvenates the dried-out plains, giving it a brand new, lush green coat, and the parks are transformed into a replenished haven for the animals that dwell within. The rain typically occurs in the early morning and evening, and rarely affects the game drive during the day. Due to the fact that April and May falls into the “low season” in Tanzania, the rates are also the lowest. 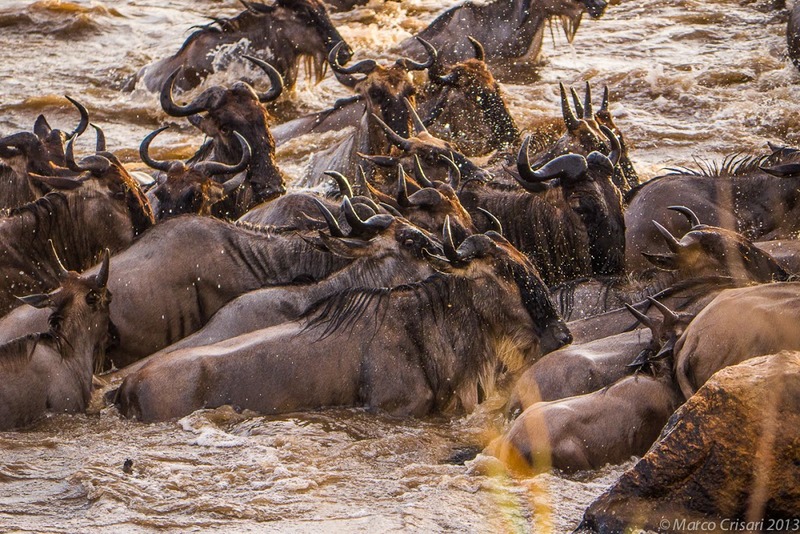 As the rain moves from the South to the Western Serengeti, the migration herds will tread into the Western Corridor, where they will cross the Grumeti River. While this is a relatively small crossing when compared to the Mara River Crossing in the next season, it is also one of the most highly anticipated event in the annual migration, as the Grumeti River hosts the Nile crocodile, the world’s largest crocodile. making the crossing a risky decision for the wildebeests and zebras. The Western Corridor also boasts of a diverse topography, including floodplains, savannahs, open woodlands, scattered forests, small hills and valleys. Aside from the Nile crocodiles, Western Serengeti is also home to the rare colobus monkeys, large herds of elephants and giraffes. Resident lion prides that roam about the region can also be seen throughout the year. In the months of June and July, the migrating herds will begin to move upwards to Northern Serengeti, passing through the Grumeti reserve and Ikoma area. For those who have a longer itinerary, we would recommend spending time in both the Western Corridor, and the Kogatende area in the Northern Serengeti. As April and May are part of the long rain season, the rainfall will be sporadic throughout the day, though the heavier rain typically occurs in the early morning and evening time. Contradictory to general belief, the rain doesn’t stop the game viewing, rather, the cool weather after the rain makes the wildlife more active. The daytime temperature would be between 15-25°C / 59-77°F, with the early morning and evening in the cooler 10-15°C / 50-59°F. Typically, from mid-July, the majority of the migrating herds will have arrived in the Kogatende area in time for the Mara River crossing, after depleting the grass and water in the Western Corridor and Grumeti. The Northern Serengeti remains relatively pristine when compared to the Seronera, Central Serengeti, as well as its counterpart, Maasai Mara in Kenya, as tourists have only began to visit this area in the recent years. Depending on the rain pattern, if it is a dry year, then the first herds of wildebeests can be at the Mara River by early July; in a wet year, the herds would move slower, arriving by mid-August. The Northern Serengeti boasts of many kopjes, small hills and thick woodlands, which provide plenty of hiding place for the Big Cats, though the leopards are more elusive in this area. 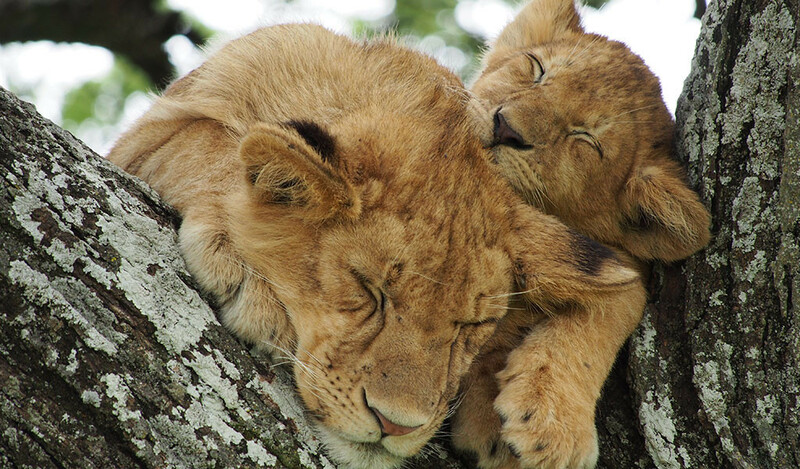 Lions and hyenas can be regularly spotted during the day, as well as cheetahs. Other resident wildlife includes hippo, giraffe, impala, topi, Thomson’s gazelles, as well as large concentrations of elephants. 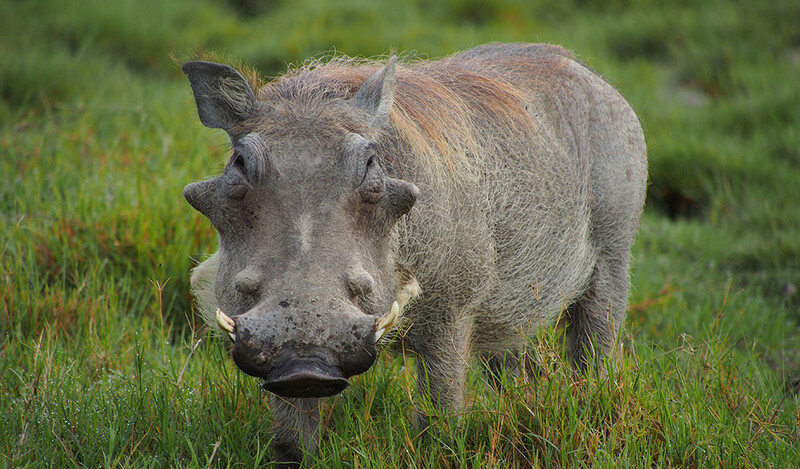 The Mara River Crossing is indisputably a must-see if you are an avid wildlife enthusiast. The sheer size and scope of this river crossing is astonishing to say the least, and a survival for the fittest as the wildebeests and the zebras attempt to cross the river with predators at every turn. It is important to note for those who plan to visit during this time for the river crossing, that the exact timing of the crossing cannot be guaranteed, as the migration location will ultimately depend on the rainfall pattern. Also, witnessing the crossing does require a lot of patience, as well as how many days you are able to spend waiting by the riverbank. We typically recommend our guests to spend at least two to three nights in the Northern Serengeti on their safari, if they wish to see the crossing during this time. Our experienced driver guides—who know the area inside out—will seek out the best location for a good viewing of the crossing, and be there to give you interesting facts and information about the migration and the Northern Serengeti while you wait for the crossing. During the months of July to the beginning of October, the weather can be dry and dusty. This is our winter in Tanzania, and the temperature can be as low as 5-10°C / 41-50°F in the early morning and evening, while the average temperature in the daytime can still be quite warm, between 20-25°C / 68-77°F. As the migratory herds move back into Tanzania, they are scattered into three groups that each take a different route: the Western, Eastern and Central Serengeti. The Central Serengeti will typically have a larger number of the herds, and with the Eastern corridor being less accessible, Central and the Western Serengeti are often the most popular locations during these months. 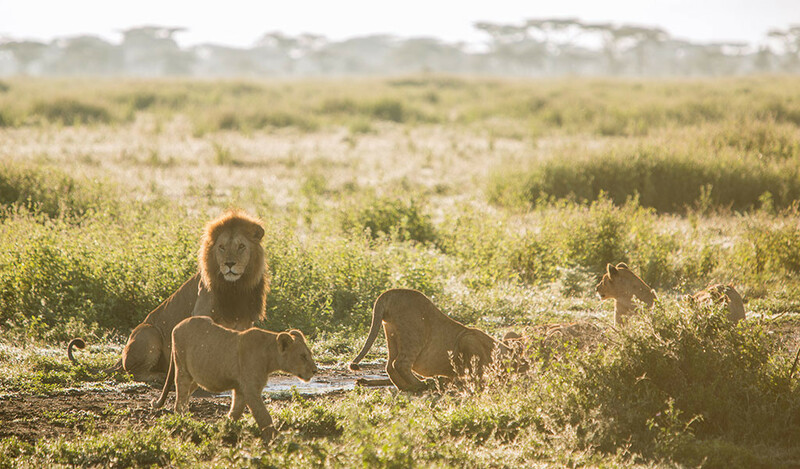 The Central Serengeti will have plenty of resident game, and with the migration returning, the game viewing will be even more diverse and exciting as the resident predators will have an abundance of food during this time. With scattered forests, the Seronera valley and open plains, this area will allow easier game access with more grounds to cover compared with Western and Eastern Corridor. For those who prefer a more exclusive game drive during this time, Western Serengeti could be a suitable choice for game drive. The Eastern Corridor can be visited when staying in Central Serengeti, as our driver guides can make day trips and visit the area that is typically less crowded. As November to early December is considered low season in Tanzania, the parks are less crowded, enabling more exclusive game drives compared to the other seasons. The rainfall also makes the game viewing exciting, as it would be the first rain after a long drought during the dry season. The pricing for accommodation is also great for those who prefer to keep the costs down. During this time, the weather can be quite warm during the daytime, between 20-25°C / 68-77°F, though after the rain and during early morning and evening time, the temperature typically drops in the low 10-15°C / 50-59°F.